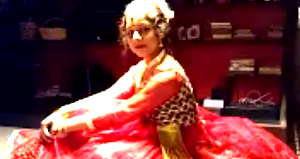 Aliyah Banerjee has been dancing for about ten years in 2018. She has been learning and performing Indian classical Kathak dance for ten years in India, before she moved to the US. She has given multiple performances (two-three every year) in Kathak dance. She took dance in eighth grade as well, in Walsh Middle School, and performed in the Spring Show. She also currently trains at The DanceWorks Studio, taking weekly classes in ballet, Drill Prep, Contemporary, and Jazz, and takes weekly Kathak classes from India via Skype. Dancing has been her hobby, since a very young age, and she aspires to become a confident performer and choreographer. Her dance goals for 2018 are to gain more confidence while performing, to improve her technique, and to learn to choreograph professionally. Aliyah is currently moving forward with a goal to major in language and literature. She plans to attend an Ivy-League University to study creative writing. She also plans to continue dancing as a hobby, and possibly give performances both in Kathak and Western Dance.